Ford Inside News Community > Discussion Area > Lincoln Discussion > Lincoln Aviator Experiences? I am considering a Lincoln Aviator to better occupy our needs until which time that I can find a Porsche Cayenne Turbo for sale with the desired colors, and equipment. Does anyone have any experience with them, and have any real world experience with them. My time with them has been limited to a week or less, and I am hoping for someone with real world experience. This particular Aviator is a combination of the correct equipment, condition, and miles that begs my consideration despite the fact that I truly do not need two additional cars in the fold. I thought you'd be lining up for the new Escalade? 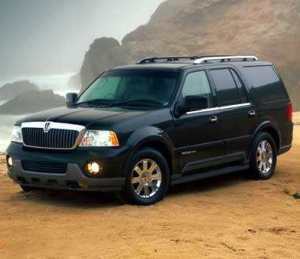 The Aviator was only modestly different than the Explorer/Mountaineer of the same era, albeit a pretty good SUV. Having said that a huge upgrade from your 2000 Mountaineer. Good luck finding a clean one, they were not overly big sellers. My interest is truthfully limited to this particular car due to a combination of condition, miles, and equipment. Well, we used to own two Mercury Mountaineers (I think those were MY02 & 04 - but I'm not sure on that one). The '02 was the first vehicle we leased after we moved to the States. It was our rental right after we arrived and my mum loved it so much that leased one a week later.. So while I can't comment on the Aviator, I can tell for sure that the Mountaineer was a very solid SUV and we had no issues - neither on the 02 nor on the 04. My sister had a Mountaineer of the same era and, while I was too young and frankly didn't care enough to know what the exact problem was, her car seemed to develop some serious electrical issues towards the end of its lease. Enough to turn it in early WITHOUT a replacement ready. I woud get it simply for the 4.6 DOHC. I had one with a supercharger on it. (bought it that way) Crazy fun!!!!!!! They can develop some annoying little issues but it is a pretty solid truck.